This was a gift from Utt last year. Linda took Spongebob, so I went home with Patrick. Cute eh? Make Up Unit or Gaming Centre? Jan and Chris, fighting the king in the last chapter of House of The Dead 3. See how tiny the mouse was, they had to almost smash the keys to win the game. Haha! Do I look like a cat? Last night’s scene was me running away from the 3 of them. So I crouched underneath a staircase to hide. But of course I got caught and almost got beaten up, until my brother (Li Nanxing) came to save the day! WKWSCI stands for Wee Kim Wee School of Communication and Information, which is my previous school in NTU. During my time, it was only referred to School Of Communication and Information (SCI), which was a name change from School of Communication Studies (SCS). The name may differ, but a lot of what is inside remains, and that is to provide quality education for the students pursuing the various divisions – Public and Promotional Communication, Journalism, Electronic Broadcast Media and Communication Research. On September 21 ,we had a 15th Anniversary dinner at The Oriental Hotel where all teachers, non-teaching staff and alumni students were invited to attend. 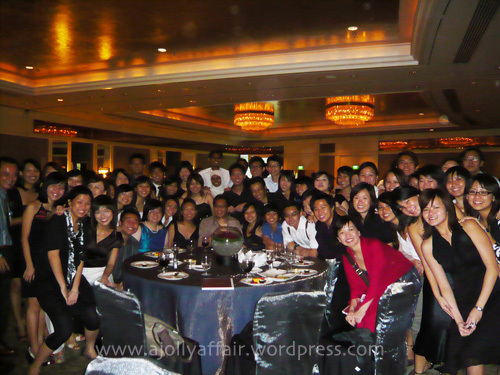 The reunion dinner was 4-course, with special performance by Selena Tan. It was so much fun, seeing all my school mates again and perfect excuse for a get-together. My 2006 batch. And this is not even the full strength. I thought the table was so in the way. Our table picture. Not everyone turned up though. Claire and I. We were in the same hall in year 1 and stuck out throughout most of the 4 years, even though she was majoring in EBM and I was majoring in Journalism. Chuan Hui and I. We were from VJ and used to hang out together during Math breaks cos’ we don’t take Math in JC. Haha! She was an Econs genius! 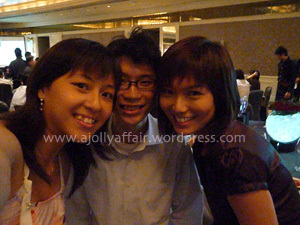 Swee Jean, Me and Keith. Swee Jean’s was our Club President and Keith is now with SPH. Daryl is leaving for London in a month’s time. 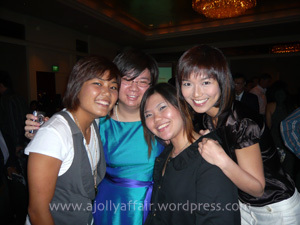 Yihui, Junlin and I. Yihui’s so sweet!! Dr Alfred Choi and I. He’s a funny lecturer with a strong Cantonese-accent. We’ve always had a lot of fun in and outside his class!